O.J. : Made in America is an ESPN 30 for 30 documentary and television film series premiering in June 2016. The film explores the life of O.J. Simpson through a variety of lenses, ultimately telling an in-depth story suggesting there is more than what meets the eye. Filmmaker Ezra Edelman illustrates the life of Simpson through a chronological format, and wide-scope context supported by eloquent insights, captivating raw footage, and socio-political topics of race, culture, and the life of a starring football celebrity. This complex film has a variety of layers and elements leading up to some unique, pulsating highlights sure to take the audience’s breath away. Variety reports, “O.J. 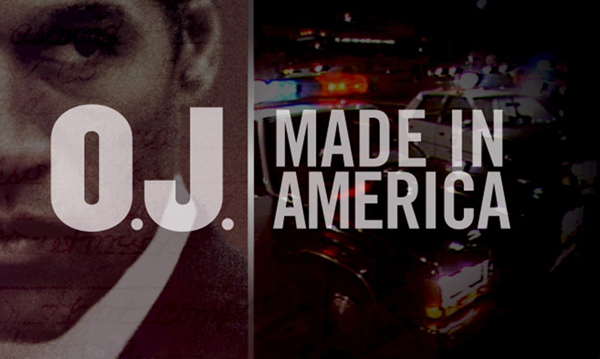 : Made in America adds rich contextual layers to the case, including a dive into the history of Los Angeles race relations that played such a central role in his acquittal. Having previewed three of five chapters, there’s an abundance of highlights between the kickoff and end zone”. Don’t be fooled, this documentary takes everything to an entirely new level. Variety article proclaims, “the film leaps back and forth among these various threads, and occasionally directly connects them, such as footage featuring Bob Hope lauding Simpson at a USC rally in ’68, intercut with the King and Kennedy assassinations that also happened that year”. Insights from the Sundance Music Festival say, “there is a level to which O.J., the story is about everything. It really is, in terms of our American culture. It’s about everything”. From the Los Angeles Times, “Edelman’s tale is something of a double helix, telling the origin story of a complex crossover celebrity while chronicling black-white tension in Los Angeles”. A TROJAN HORSE for Issues of Race in America? The Los Angeles Times also makes the claim that this documentary will perhaps be a ‘Trojan horse’ for issues of race in America. “Made in America covers a lot more than the murder of Nicole Brown and Ronald Goldman and the sociological Rorschach test that sprung up in its wake. The miniseries uses the life of the former USC star as a means of investigating race in America–a Trojan Horse, if you will”. “I want you to do a five-part movie on O.J. Simpson,” he was told. Edelman’s process was the ‘perfect storm’ to produce this film. The documentary will be divided into a 7-part television special in June. Audiences can view the first five parts on ABC June 11th, 2016. After, the complete series will be available on ESPN on June 14th, 2016.